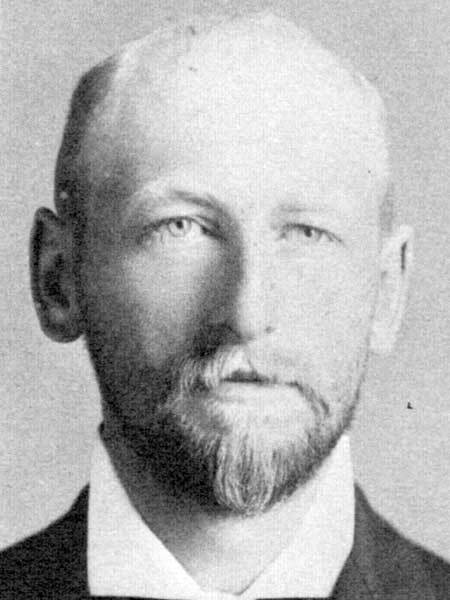 Born at Kincardine, Ontario on 18 August 1870, he was a son of Anne Sturgeon and Josiah Vanstone. His father was born at Devonshire, England, emigrating to Canada and settling in Bruce County, Ontario where he established himself as a furniture manufacturer, before moving to Manitoba in 1882 to work for 40 years for the Manitoba Government, at Winnipeg. Dr. Vanstone was educated at Kincardine Public School, Winnipeg Collegiate, and the University of Manitoba. He also took postgraduate education at New York City. After his graduation in 1894, he practised medicine at Wawanesa until 1912 when he moved to North Battleford, Saskatchewan. In 1922, he was invited to return to Wawanesa to head the troubled Wawanesa Mutual Insurance Company, which had been founded in the town in 1896, during Vanstone’s tenure as local doctor. Despite having no insurance experience, he led the company to recovery and new sources of business, especially in automobile insurance. On 21 February 1901, he married Lilian J. Clarke (1883-?) at Wawanesa. They had six children: Annie Vanstone (b 1903), Lillian Vanstone (b 1905, wife of Keith D. Marshall), Edith Vanstone (b 1906), Kathleen J. Vanstone (wife of Ed Russenholt), Mary Vanstone, and Josiah Morley Vanstone (b 1911). They also adopted three children (Charles Foster Vanstone, Russell Vanstone, and Lillian Vanstone) on the death of their father, his brother. Vanstone was a member of the Masons (Past Worshipful Master of the Wawanesa Lodge) and the IOOF (Past Noble Grand, Wawanesa Lodge, No. 31). He took a keen interest in sports, playing hockey and football, and bred purebred horses. He retired in 1943, moved to Burnaby, British Columbia, and returned to Winnipeg in 1947, where he died on 27 March 1953 after a lingering illness. At the time of his death, he was living at 1306 Wolseley Avenue. He was buried in the Chapel Lawn Memorial Gardens. Old Pathways, New Horizons: A History of the Wawanesa Mutual Insurance Company 1896-1996 by Wawanesa Mutual Insurance Company, 1996. “Pioneer MD in Manitoba dies at 83,” Winnipeg Free Press, 28 March 1953, page 10. Obituary, Winnipeg Free Press, 28 March 1953, page 27. We thank Mark R. Vanstone for providing additional information used here.